Welcome to District 12: The Hunger Games: Catching Fire! The Hunger Games: Catching Fire! Comingsoon.net is reporting that Lionsgate announced the title of Catching Fire will be "The Hunger Games: Catching Fire"
Lionsgate has announced a minor title change for the second part of their blockbuster franchise. 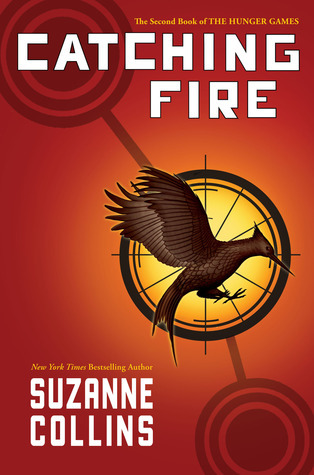 Formerly titled Catching Fire, the Francis Lawrence-directed sequel to this year's The Hunger Games will now be called The Hunger Games: Catching Fire. This makes total sense as the audience needs to connect "Catching Fire" with "The Hunger Games" for those not familiar with the books. Check out our new series in which we adapt Mockingjay into two films! MTV Movie Awards: #VoteKatniss for Best Hero! Press Release for The Hunger Games Blu-Ray/DVD! BREAKING! THG on Blu-Ray/DVD August 18th!